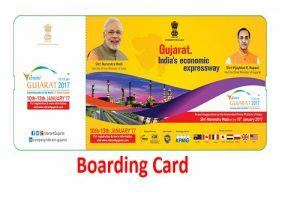 Boarding pass advertising is a part of In-flight advertising; advertising that targets potential customers on board an airline. It includes commercials during in-flight amusement programming, advertisements in in-flight magazines or on Boarding Passes, Advertisements on Cabin Bulk Head, Sky Line Pannel, Seat Back Ad, Head Reset Cover, In-Flight Free Product Sampling, In-Flight Water & Beverage Cups, In-Flight Announcement, Luggage Trolley and overhead storage bins, and sales pitches by flight attendants. One of the well-organized ways of Inflight Advertising is boarding card advertising. When taking a flight departing the airport, a passenger checks in and is issued a pass that must be set aside throughout the entire air travel. When effecting the control actions the passenger must each time produce his/her boarding pass, which is why it is all the time in the passenger’s hands, thus ensuring a 100% contact with the advert. Further on, the traveler may choose to keep the boarding pass stub as a card with the advertiser’s details. Are you planning to advertise in Airlines? Exopic Media offers you an opportunity to boarding card advertising of various airlines, which will help you significantly, boost the number of your potential customers and sales growth.